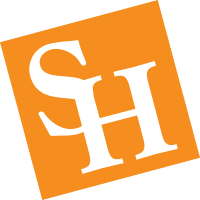 SHSU uses the online IDEA (Individual Development & Educational Assessment) student ratings of instruction system for evaluation of all instructors campus wide. Completing the course Objectives Selection Form (formerly known as Faculty Information Form) and interpreting results are addressed in the workshop. If available, please bring recent IDEA scores for analysis and feedback. You will be better prepared for optimal use of IDEA following this workshop. Participants are limited to eight so that each can receive individual attention if desired. Lunch is served.